Graphic design, in its myriad manifestations, relies on the existence of framework. Whether physical, digital, or conceptual, that framework is endlessly considered and dealt with by the designer. It not only represents the reality of constraints, which guides the designer, but also the notion of potential. The empty framework is an architecture primed to support a designed surface; simultaneously, it can be understood as an arena for ways that we can express ourselves, our cultures, our economies, our values, and so much more. Redefine your understanding of graphic design with the Insights Design Lecture Series, presenting four leading designers from around the country. Dive in to the thinking behind their work, then get together after the lectures to meet the speakers, grab a drink, and chat with your fellow design lovers. The lineup features designer/artist Archie Lee Coates IV of the interdisciplinary studio PLAYLAB, INC.; legendary feminist designer Sheila Levrant de Bretteville, director of the Yale Graduate Program in Graphic Design; Nike’s chief marketing officer Greg Hoffman; and experimental print/digital publishing guru Paul Soulellis. Copresented by the Walker Art Center and AIGA Minnesota. If you can’t make it in person, please tune in to our live webcast at walkerart.org and participate through Twitter (#InsightsDesign). For educators, AIGA chapters, and anyone else who might want to throw their own viewing party, please check out our Viewing Party Kit. Over her five decades of practice, designer and artist Sheila Levrant de Bretteville has been a consistent trailblazer. From founding the first design program for women at CalArts, co-creating the Feminist Studio Workshop, and running the Woman’s Building and the Women’s Graphic Center to being the first woman to receive tenure at Yale University School of Art, de Bretteville has been at the forefront of conversations regarding design, equality, and culture. Since 1990, she has been director of Yale’s graphic design MFA program, one of the most adventurous and forward-thinking of its kind in the world. Through her leadership and teaching, the program has been in constant dialogue with the international design scene, embracing a critical and experimental approach to design while producing some of the most exciting young designers today. A visual artist, de Bretteville has created poignant public artworks that celebrate and illuminate the neighborhoods they exist within. Her site-specific works include projects in Hong Kong, Russia, New York, Boston, Los Angeles, and many other places. In 2004 de Bretteville received the “Design Legend Gold Medal” from the AIGA. As we live our lives increasingly through virtual interfaces, our relationship to analogue technologies becomes more fetishized and our understanding of community becomes progressively networked. How do we communicate? How do we publish? What is signal and what is noise? 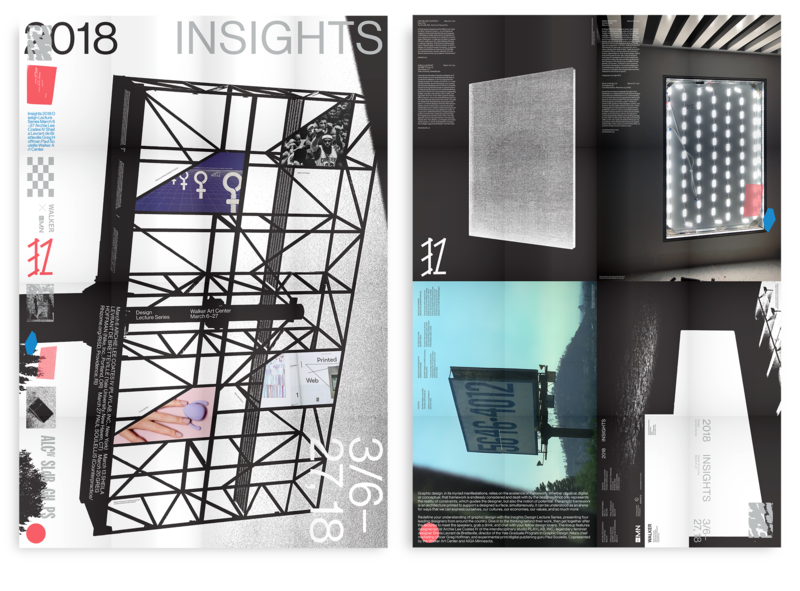 These are some of the questions that designer, author, and teacher Paul Soulellis tackles in his work, which investigates the intersections of experimental publishing, network culture, and artistic practice. Soulellis’s design studio Counterpractice tackles design and branding projects, including the overarching identity design and branding strategy for the TEDx Conferences. He is also contributing editor at the new media art platform Rhizome.org, a professor at the Rhode Island School of Design, and founder of the Library of the Printed Web, an archive of web-to-print artist’s works.